Come set your student loan statement on fire together! In Auckland's commercial hotspot, Aotea Square. Or alternatively send it to us and we will burn it for you (if you are not in AK)! 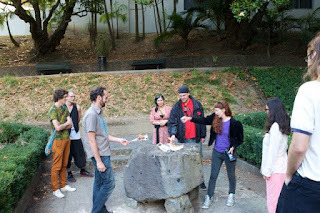 I wanted to generate/facilitate a small (or large) group ritual burning of our student loan statements in Aotea Square for all those who feel the need. This is a generative and community performance art project and will be filmed (and performed) by me, but it is of course also a protest about one of the most under scrutinised, hard hitting political and economic decisions impacting our generations made by our governments (beginning early 90s): student loan/user pays tertiary education. This is acknowledgment of something which has never been acknowledged or addressed, it has been if anything been silenced, becoming an elephant in the room.